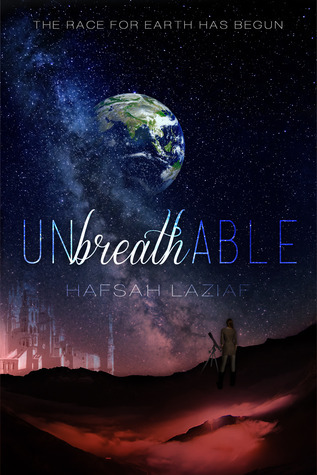 When Lissa’s father discovers Earth still exists, she accidentally breathes the toxic air of Jutaire and in one breath, she discovers she isn’t quite human. As mankind races to extinction, Lissa finds out they aren’t the only ones in need of Earth, and that the Chancellors are only pawns in a greater game – one where the Jute control everything. Now, Lissa has everything to lose. Earth. Love. The redemption of the human race. And more than anything, her life. Because the Jute plan to leave Jutaire for Earth, but to get there, they need her. And they’ll stop at nothing until Lissa is in their clutches, even if they kill every human in the process. 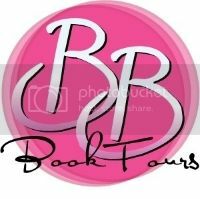 Welcome to my stop on the Breaking Nova Blog Tour hosted by Shh Mom's Reading. For today's stop, I've got an awesome excerpt from Breaking Nova to share with all of you as well as the tour wide giveaway so, do not go anywhere because there's a lot of epic going on here! Let's get to it! From the #1 New York Times bestselling author of the Ella and Micha series comes a powerful story of love, scars, and impossible choices . . . 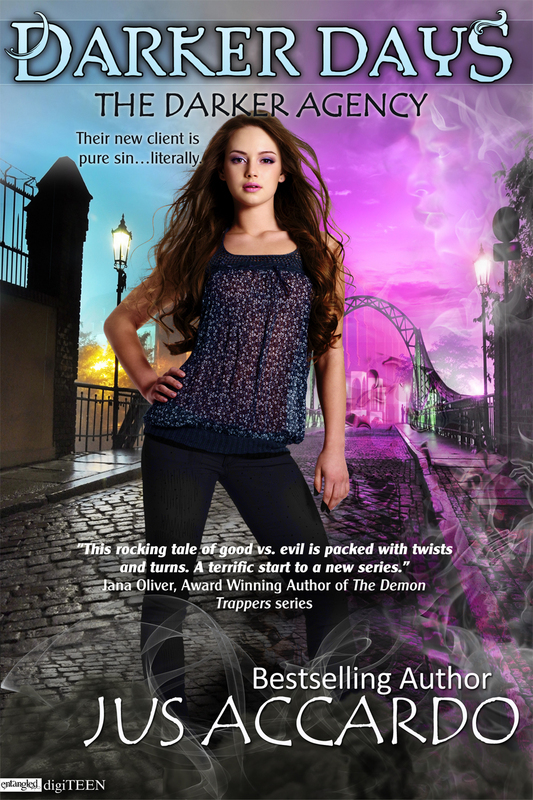 Welcome to my stop on the Wicked Thing Blog Tour hosted by InkSlinger PR. 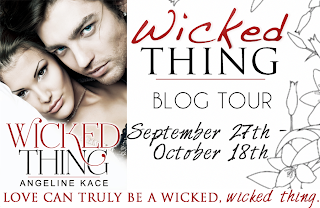 For today's stop, I've got an awesome excerpt from Wicked Thing to share with all of you as well as the tour wide giveaway so, do not go anywhere because there's a lot of epic going on here! Let's get to it! 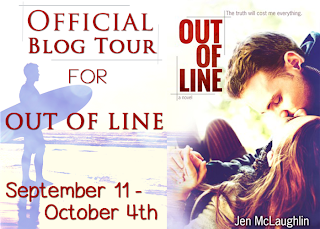 Welcome to my stop on the Out of Line Blog Tour hosted by InkSlinger PR. 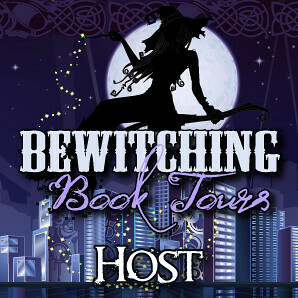 For today's stop, I've got an awesome guest post by Jen McLaughlin to share with all of you as well as the tour wide giveaway so, do not go anywhere because there's a lot of epic going on here! Let's get to it! 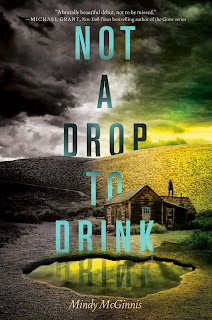 Welcome to my stop on the Not a Drop to Drink Blog Tour hosted by Rockstar Book Tours. 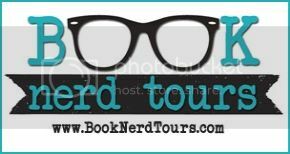 For today's stop, I've got an awesome guest post by Mindy McGinnis to share with all of you as well as the tour wide giveaway so, do not go anywhere because there's a lot of epic going on here! Let's get to it! Ellie Martin hates her beautiful, man-crazy mother. Her mother’s wild and wanton behavior has left Ellie with a deep longing. To escape. To belong. To know who her real dad is. To really be loved. Her mother finally crosses a line that sends Ellie running, escaping to college with one, focused goal–to find and confront her bio dad, who doesn’t even know she exists. Then she meets Logan. Hot, charming, and troubled. He turns her world upside down and puts all her plans in jeopardy. Logan Walker is hiding a shameful and painful secret. One that nearly cost him everything. When he meets the beautiful and mysterious Ellie at a campus Week of Welcome event, something inside him awakens and he finds himself drawn to her. Attention: Gennifer Albin Has An Announcement To Make! I was putting on lipstick when the idea for Catching Liam popped into my head. I've always loved Contemporary novels, but I was scared to write one myself but the story wouldn't leave me alone. So I called my agent who generally supports my insanity and pitched it to her. She enthusiastically told me to go for it, and so I set out to become a hybrid author. When I first published Catching Liam I decided to use the pen name Sophia Bleu, because I didn't want readers to go in expecting Science Fiction and get a steamy coming-of-age story. 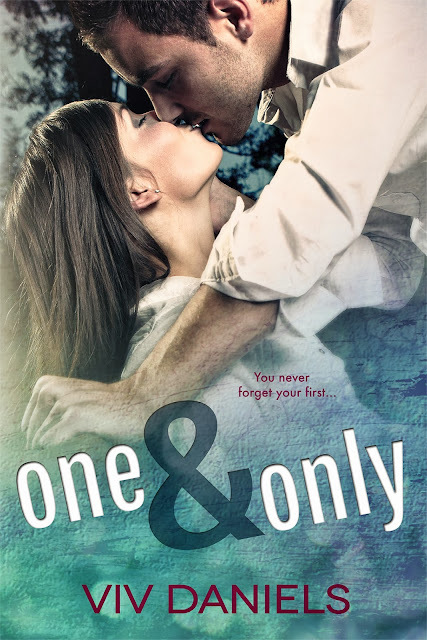 It was never a secret and at some point juggling a pen name became a bit of a chore, so I sat down and thought about all the pros and cons of keeping the two separate. My agent and I spoke and we both agreed that it was time to re-brand everything under my name. No small feat! 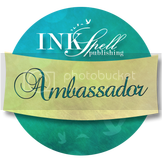 Welcome to my stop on the 3:AM Kisses Blog Tour hosted by InkSlinger PR. 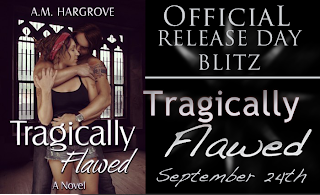 For today's stop, I've got an awesome excerpt to share with you as well as a tour wide giveaway that is super duper epic so, do not miss out on it! 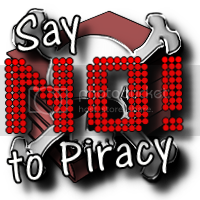 Without anymore delay, let's get to the epic! I am so excited to be celebrating my 1-Year Anniversary into the book publishing world!!! That's right... one year ago (on September 22nd) Unravel Me came out. Reader's responses BLEW me away. People read my book and a lot of them liked it!!! HOLY. CRAP. What an amazing feeling! And in the last year, I published 5 books... made the New York Times bestseller's list 5 times, and the USA Today I believe 6 times. 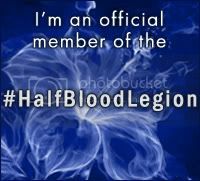 All because of the AMAZING blogs and readers who took a chance on my books. THANK YOU SO MUCH!!!!! 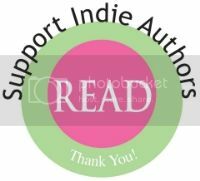 I've since signed a publishing contract with Atria books. And guys, this is only the beginning! How exciting! I hope you'll join me on Wednesday, September 25th from 8pm-9pm central time for a virtual party with a Twitter chat and a Facebook Q&A. 2nd Prize - One signed Kendall Ryan book of your choice, and a copy of the Hard to Love audio book! 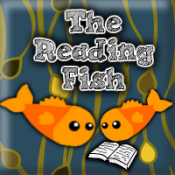 3rd Prize - Any e-book of your choice! 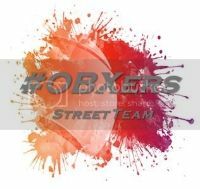 5th Prize - Any e-book, prize donated by Booze Bookz and Bad Boyz! Welcome to my stop on the Relinquishing Liberty Blog Tour hosted by Girls Heart Books Tours. 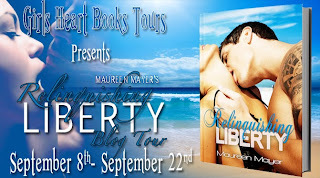 For today's stop, I've got an awesome guest post by Maureen Mayer to share with all of you as well as an excerpt from Relinquishing Liberty that cannot be missed! Did I forget to mention the giveaway? Yes! 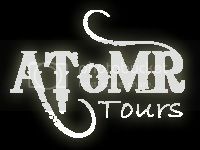 There's also a tour wide giveaway so, do not go anywhere because there's a lot of epic going on here! Let's get to it! On the outside, Liberty Davis appeared to have it all…a loving family, a tight knit circle of friends, and a bright future ahead of her. Everything was perfect. 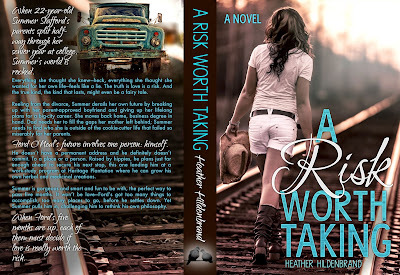 That is until her brother tragically took his own life, turning her whole world upside down. Left to pick up the pieces of her broken family, Liberty is faced with focusing all of her attention on helping her parents cope with the loss of their son, while putting her own life on the back burner. But what no one seems to realize is that she is just as broken inside. 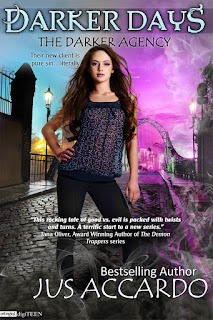 Now, four years later, twenty year old Liberty is taking back the reins of her life. 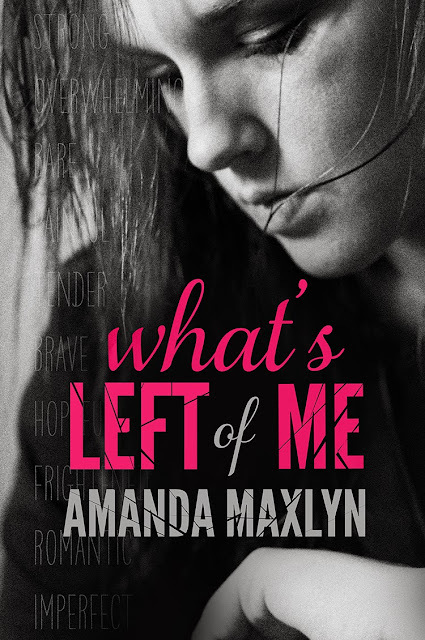 She leaves behind everything she’s ever known, hoping to make a fresh start…one where she isn’t faced with the constant reminder that her brother is nothing more than faded memory. 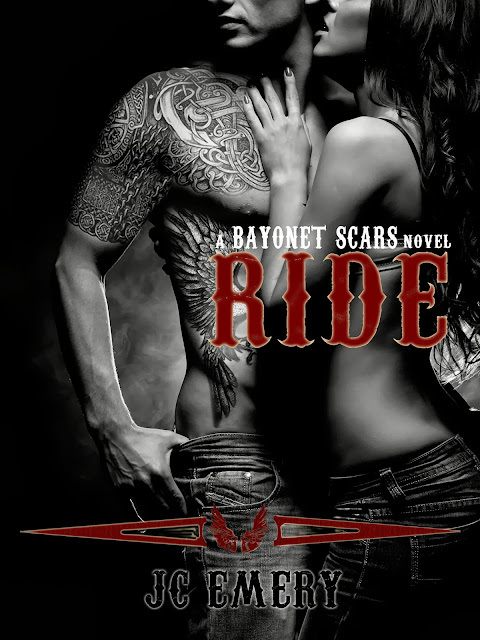 What she didn’t expect to find along the way was Shayne. Tall, dark and tattooed, Shayne Thompson has developed quite a reputation for being a player. Despite everyone’s negative perception, Liberty still finds herself drawn to him. When she learns that Shayne knows all too well what it feels like to lose someone you love, she finds that they have a lot more in common than just a physical attraction. 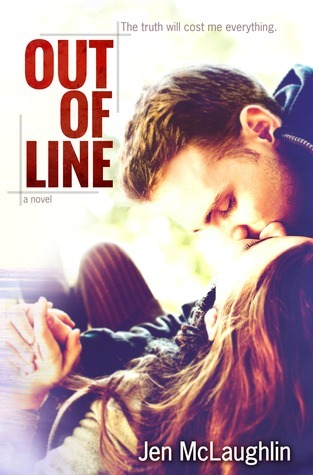 When Liberty discovers a secret from Shayne’s past that threatens to tear them apart, she begins to question everything she’s ever felt for him. 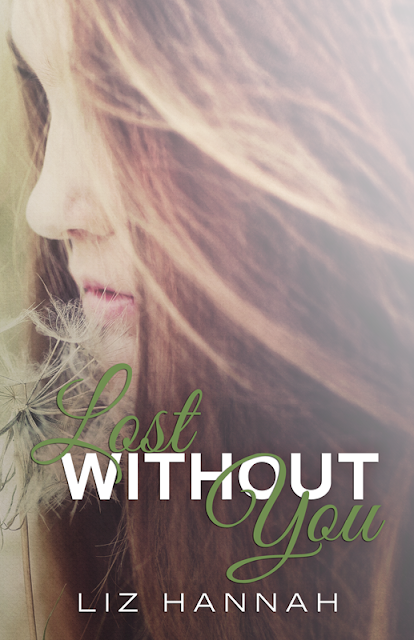 Will Liberty choose to follow her heart or will she give up the one person who finally made her feel whole again? OH MY GOSH !!!!! I don't think you guys even know how stoked and over the moon I am 1) to be a part of this reveal and 2) that... there's even a reveal going on! One of my biggest and hardest wishes for this amazing series is for it to never end so I'm thrilled that there's going to be a fifth book in the Lengths series! 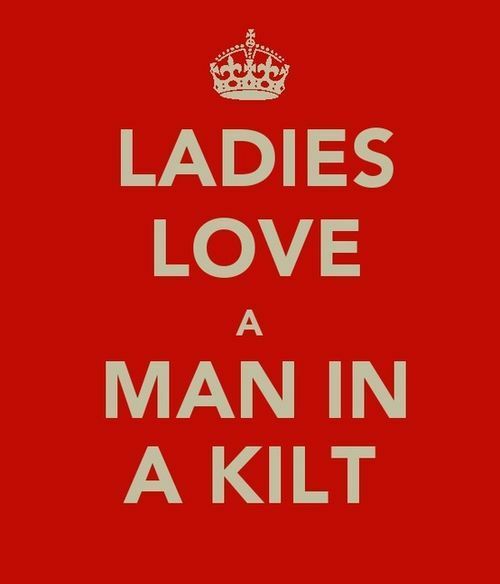 Like, for reals, all the f'ing fangirl feels! I am so excited for this particular character's book because I love how... they were portrayed in the series that I'm so intrigued to see them fall in love and how it will most definitely turn their world upside down! Sigh, I CAN'T WAIT, PEOPLE! 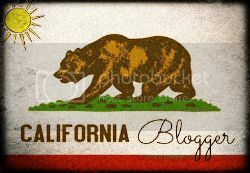 Let's get to the reveal and the synopsis and then you can tell me all about your feelings! 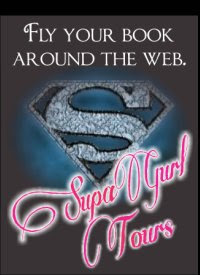 Welcome to my stop on the All of You Blog Tour hosted by THESUBCLUB books. For today's stop, I've got an awesome excerpt to share with you as well as a tour wide giveaway that is super duper epic so, do not miss out on it!